The first edition of Tehran Art and Cultural Management Development Program with a collaboration between Mohsen Gallery, ATSA, Khalagh Consulting Group and Kooshk Residency was held in Tehran. Tehran Art and Cultural Management Training Program is an intense ten day program aiming to develop the art and cultural sector in Iran. Taking a practical approach, it focuses on developing essential competencies professionals need in order to manage art and cultural projects. Iranian management, art and cultural professionals and academics contributed as other 2015 program faculties through Khalaagh Consulting Group’s network in management education and Mohsen Gallery’s network in arts scene in Iran. The program included two sets of four day workshops, with two days of participants’ presentations in between and at the end. 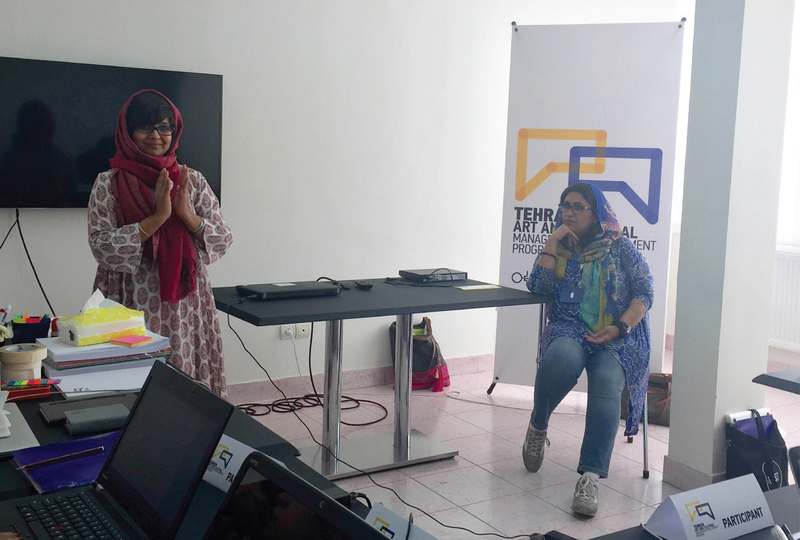 Along with the workshops, a combination of 1h30 talks, film screenings and group activities were scheduled every day after the workshop in which the group discussed the case study through sharing of guest lecturers’ stories or experienced the learned subjects more closely. Also, a “Discuss Problems” session was programmed every day in which the participants got the chance to discuss what they’d learnt during the day amongst themselves and ask for more clarification from the learning facilitators as needed. This gave them the opportunity to reflect on their learnings and better digest the load of information they’d been receiving during the intense ten days. Each participant was required to give two presentations. The first presentation, given on day five required the participants to give a presentation on their project incorporating what they’d learnt. The same scenario was repeated on day ten in which the participants gave their final presentations. The participants received a certificate of participation in the program after the presentations were done in a small ceremony at Kooshk Residency. Kooshk also hosted the international facilitators during the program.